We are offering of PVC Leather for Upholstery. 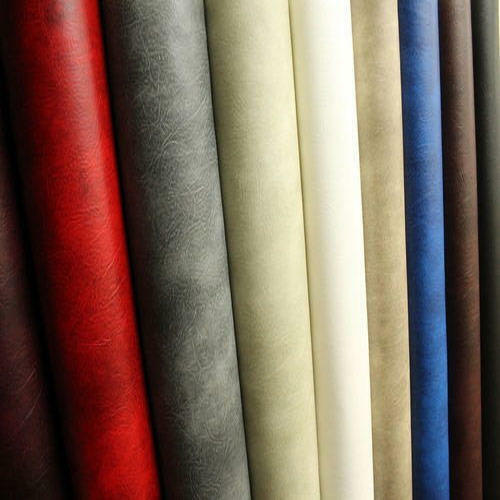 Marvel exports PVC Leather for Sofa/Elegance leather cloth to the furnishing and upholstery industry where it is used in fabrication of sofas, chairs, seats, tables, etc. Under Elegance range which is successfully being used by customers in developed markets like North America and Europe in addition to the domestic market in India. This specification is as per JASO M-327-83 for OEM. Specification may be as per customer's requirement for Elegance Furnishing/Decorations. Thickness can go up to 3.00 mm. Elegance is a perfect choice for the fabrication of classy and stylish sofas, chairs, seats, table etc.